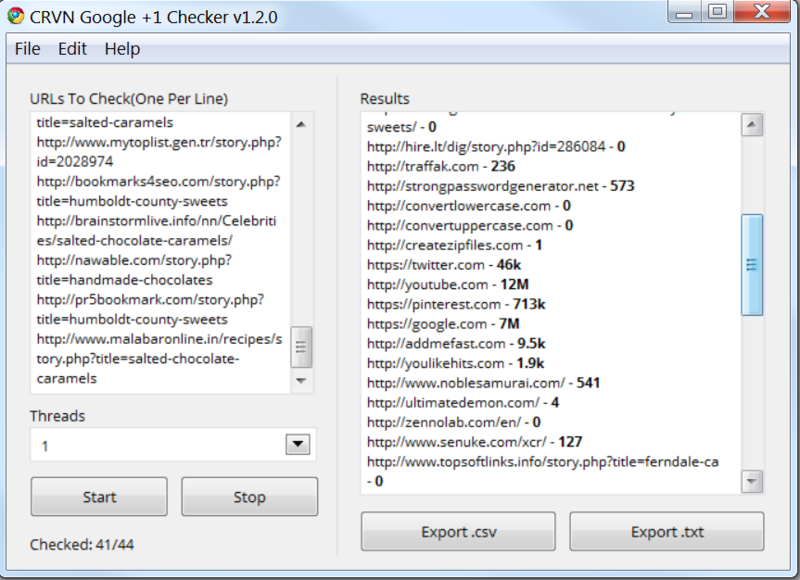 CRVN Google +1 Checker​ offers an easy and convenient way to check the Google +1 count for unlimited URLs at once. This simple yet highly effective bot allows you to automate the checking of thousands(or more!) of URLs with nothing more than just a few clicks. Just fill out the fields, hit 'Start' and let it run. Can I request a new feature/change?